The whipped, hydrated formula won't dry out your skin and it delivers a fresh-looking matte finish with a radiant glow. 1. Perfect for creating an on trend demi-matte look – gives a fresh, radiant coverage. 2. The whipped, hydrated formula won’t dry out your skin. 3. The non-drying formula is oil-free and fragrance-free. It is suitable for sensitive or dry skin. 4. 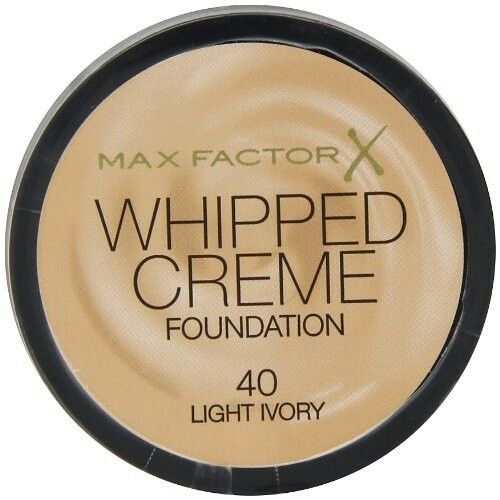 The whipped texture of the foundation won't clog pores. Highly affordable. 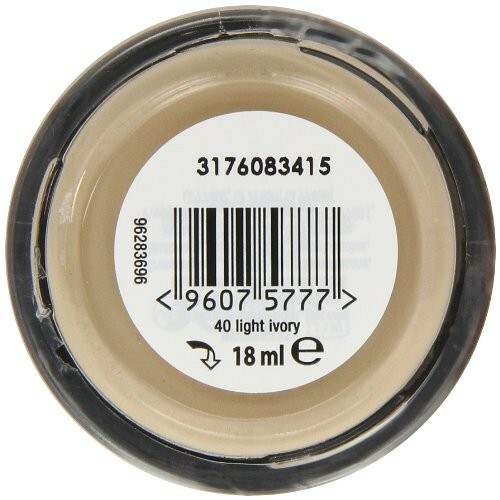 A very natural colour (No. 50, Natural). Very lightweight on the skin, and easy to blend. Lasts all day. A good foundation, but a bit too drying for some skin-types. The colour blends in perfectly with my pale skin, and gives full coverage with a matte finish. It lasts the whole day, really easy to apply and has great packaging. It is also a really good price for a top-end foundation. I have much difficulty finding a perfect match for my incredibly pale skin tone, but this is great - blends in really well. Although I sometimes have quite dry skin, it didn't show it and covered it effortlessly. Max Factor is a great brand and I was suprised at the cheap price compared to other foundations like it - although there isn't much in the tub. I love the matte finish, and it's really light on my skin - I can hardly feel it! Overall this is my favourite foundation! Gave a demi-matte finish as promised. Stayed put. Didn't show up any dry patches of skin. Not sure about the tub packaging. I tried a sample of this foundation with low expectations. With my very dry skin, foundation looks cakey on me and clings to dry, scaley patches of skin. Not this, although I did use my amazing hydrating primer, which may make anything glide on. I used my kabuki brush to blend it in and it did need quite a bit of work around the hairline. It has a medium to full coverage, I think you could build this up to full if you wanted or be gentle with it and have less coverage. The natural shade was a good match for my pale skin, so this must be one for the paler ladies. It stayed on well during the day and was easy to cleanse away. The contents of samples can be better on my skin than the real product but at this price, I think I might go mad and buy the product!